Read the latest review of the Shiverless from Parental Guidance Guide – the new hot spot for learning about the best children’s gear out there. 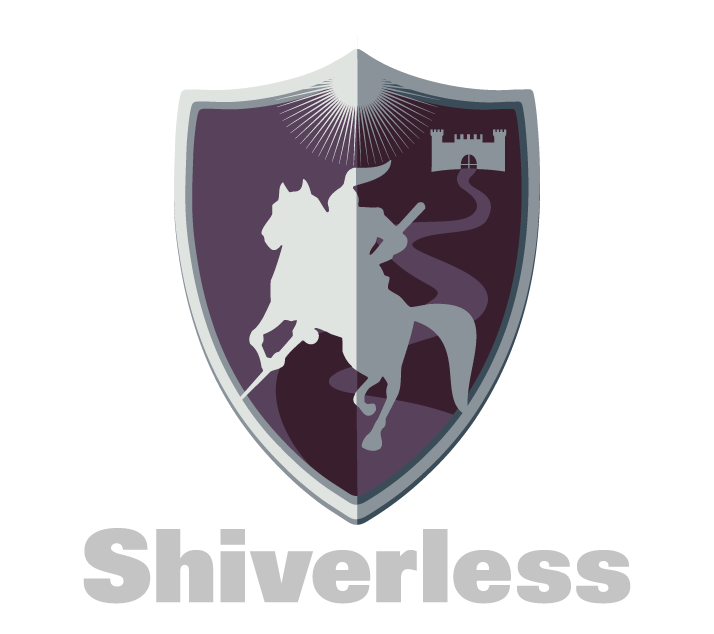 The Shiverless is a one piece “suit” designed to provide warmth without bulk addressing the safety concerns regarding thick/bulky fabrics inside car seats! The very first thing I noticed about the Shiverless was the quality of the fabric. As a skier I can appreciate the benefit of warm yet thin materials. My tall 19 month old son wears 18mo pants and 24mo/2T shirts and the 12-24mo size fits him perfectly. The best thing about the Shiverless is how thin but warm the material is. It adds warmth without bulk, which is not only great for my little one’s mobility, but amazing when it comes to putting him in his car seat. While there’s no official testing for products like this, as a general rule, bulky/puffy fabric shouldn’t be used inside car seats. When you’re trying to keep a toddler warm and safe, this can be a challenge but the Shiverless addresses this problem head on! The Shiverless has optional hand and foot covers. The hand covers are great since my son won’t keep mittens on. I’ve also used the foot covers and just put his Stonz boots right over the Shiverless. We’ve used the Shiverless in temperatures down into the 20’s (it’s been pretty warm here in Colorado this winter) and with only one thin clothing layer underneath he seems pretty warm. It’s also easy to add a coat over the top if needed if it’s extremely cold. I tried the smaller Shiverless (0-6mo) on our newborn car seat training dolls as well as a friend’s 3 week old daughter. My initial concern was that the excess material from the oversized suit would cause issues with proper harnessing, however I was pleasantly surprised to find that really wasn’t the case. With the excess material a bit strategically placed, it was easy to get a proper harness fit. I tightened the harness to pass the pinch test and then removed the suit (without loosening the harness) and found that the harness still passed the pinch test with no suit on! I’m trying my hardest to pinch webbing and I can’t get ahold of any of it…it slips right out of my fingers. The one issue I did find with the smaller babies is that the “neck” of the suit came up and potentially covered the mouth, or the hood fell down over the eyes. I probably wouldn’t use this product for such a young baby but for a child closer to the size of the product (clothing size 3 months or larger) it would be a great option. Obviously this photo is the extreme but you can see it doesn’t provide a very practical fit for a tiny newborn. USE THE COUPON CODE guidanceguide FOR 15% OFF YOUR PURCHASE THROUGH 1/31/18. Thank you, Shiverless, for providing these products for my review. Shortly after having my first baby boy, I started worrying about, well, everything: Is he eating enough, crawling when he should be, or getting teeth on time? Then I started thinking ahead to when he’s in school: Will he make friends? Will he be a nice boy? How will I ever be able to keep my adventurous, curious boy with complete reckless abandon alive??? 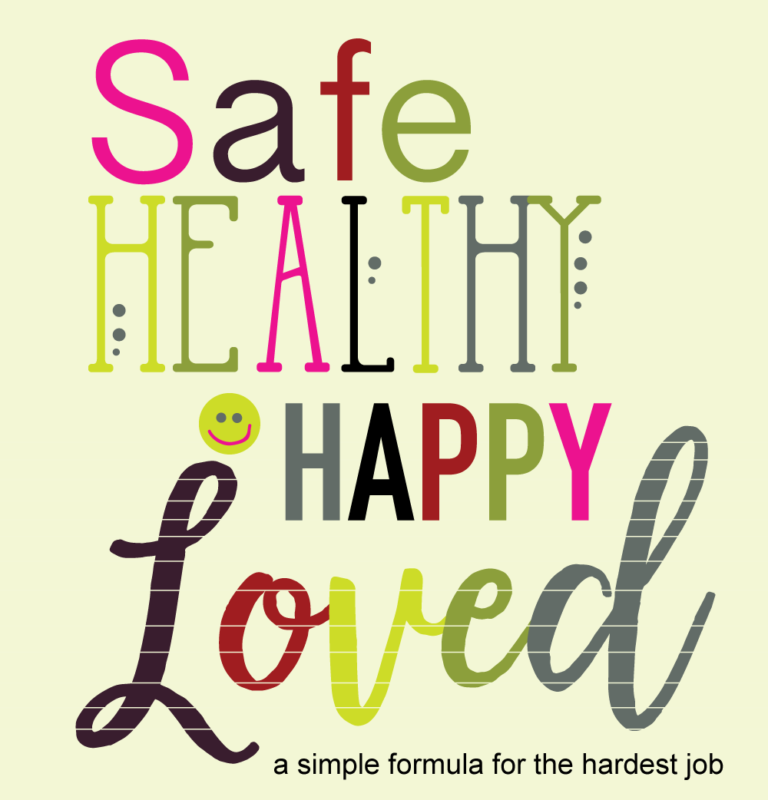 To calm my worries and help guide me in my new responsibilities as a mom, I came up with a simple mantra that I still use to get my parental priorities straight: safe, healthy, happy, loved. First and foremost, I need to keep the boys safe, both by guarding them and by teaching them how to guard themselves as they learn to interact with the world. Right now, that’s keeping them safe and warm in the car and later it will be teaching them not to text and drive. Safety is basic to survival and foundational to an overall sense of security. I won’t get anywhere as a parent if the kids aren’t, or don’t feel, safe first. Next, I need to keep my boys healthy by teaching them to eat well, stay active, and make good choices as they interact with others. I won’t always have control over illness or broken bones, but I believe it’s my responsibility to teach them how to do their very best with what is in their control. After the most basic needs of safety and health are met, I believe it’s my job as a parent to not only provide many moments of squeals, giggles, games and fun, but also to teach them that happiness is a decision you make – not an emotion you feel. It’s a choice you make every day, sometimes several times a day, and I will strive to teach them to say, “yes!” to happiness. And, if my baby boys are kept safe, healthy and choose to be happy, how can they feel anything but loved? I pray that they feel love at every turn – at home, school and church – and moreover, that they show love in return. 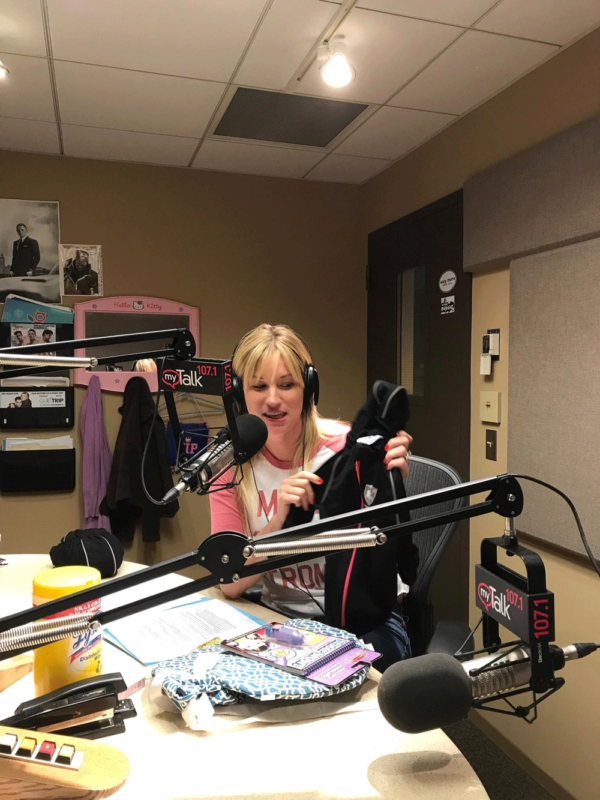 Sometimes parenting can be so overwhelming we don’t know how to prioritize what we should even be worried about and what to let go of – what’s a big deal and what’s just not a deal at all. This simple mantra of safe, happy, healthy, loved gives me a tool to help me focus my parenting energy on the most important things. Nobody said it would be easy, but with this little mantra in my back pocket, it can be simple. 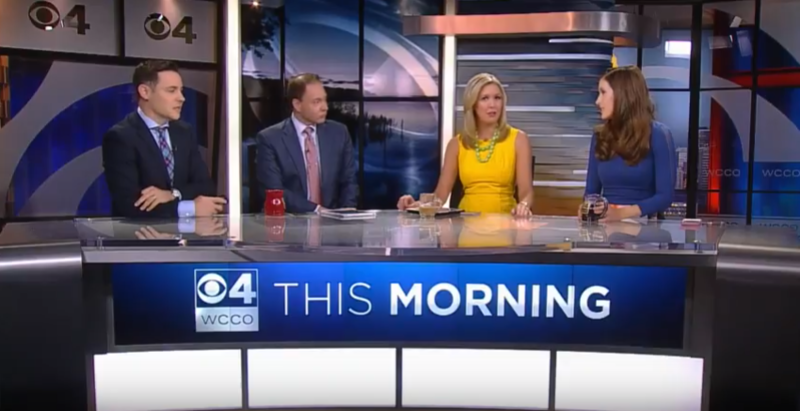 This article from the American Academy of Pediatrics is just one of many we’ve seen offering ways to address the car seat dangers associated with children being strapped in wearing bulky winter clothing. We’re posting it here for a couple of reasons. One, the article provides solid tips and good reminders about car seat safety, and we want to help spread the word. Two, we thought it was an especially good example to use to show the stark contrast between the number of steps that have been necessary to perform due to a lack of other options, and the one-step Shiverless way that is available to you now. Place your child in the one-piece Shiverless, zip it up, and go! Store the carrier portion of infant seats inside the house when not in use. Keeping the seat at room temperature will reduce the loss of the child’s body heat in the car. If you’re planning to head out the door with your baby in tow on winter mornings, you need an early start. You have a lot to assemble, and your baby may not be the most cooperative. Plus, driving in wintry conditions will require you to slow down and be extra cautious. Dress your child in thin layers. Start with close-fitting layers on the bottom, like tights, leggings, and long-sleeved bodysuits. Then add pants and a warmer top, like a sweater or thermal-knit shirt. Your child can wear a thin fleece jacket over the top. In very cold weather, long underwear is also a warm and safe layering option. As a general rule of thumb, infants should wear one more layer than adults. If you have a hat and a coat on, your infant will probably need a hat, coat, and blanket. Don’t forget hats, mittens, and socks or booties. These help keep kids warm without interfering with car seat straps. If your child is a thumb sucker, consider half-gloves with open fingers or keep an extra pair or two of mittens handy — once they get wet they’ll make your child colder rather than warmer. 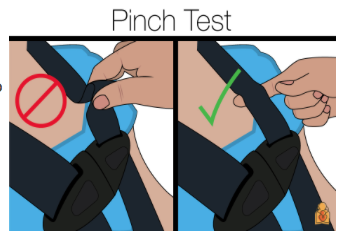 Tighten the straps of the car seat harness. Even if your child looks snuggly bundled up in the car seat, multiple layers may make it difficult to tighten the harness enough. If you can pinch the straps of the car seat harness, then it needs to be tightened to fit snugly against your child’s chest. Use a coat or blanket over the straps. You can add a blanket over the top of the harness straps or put your child’s winter coat on backwards (over the buckled harness straps) after he or she is buckled up. Some parents prefer products such as poncho-style coats or jackets that zip down the sides so the back can flip forward over the harness. Keep in mind that the top layer should be removable so your baby doesn’t get too hot after the car warms up. Use a car seat cover ONLY if it does not have a layer under the baby. Nothing should ever go underneath your child’s body or between her body and the harness straps. Be sure to leave baby’s face uncovered to avoid trapped air and re-breathing. Many retailers carry car seat bundling products that are not safe to use in a car seat. Just because it’s on the shelf at the store does not mean it is safe! Remember, if the item did not come with the car seat, it has not been crash tested and may interfere with the protection provided in a crash. Never use sleeping bag inserts or other stroller accessories in the car seat. Read the latest review of the Shiverless from Parental Guidance Guide – the new hot spot for learning about the best children’s gear out there. Comments Off on Read the latest review of the Shiverless from Parental Guidance Guide – the new hot spot for learning about the best children’s gear out there.